There are multiple reasons why a domain join might fail. Right place to look at is the log NETSETUPLOG in c:\windows\debug folder. Troubleshooting it i ensured i was able to resolve name and reach the DC’s. No firewall or AV blocking any communication. 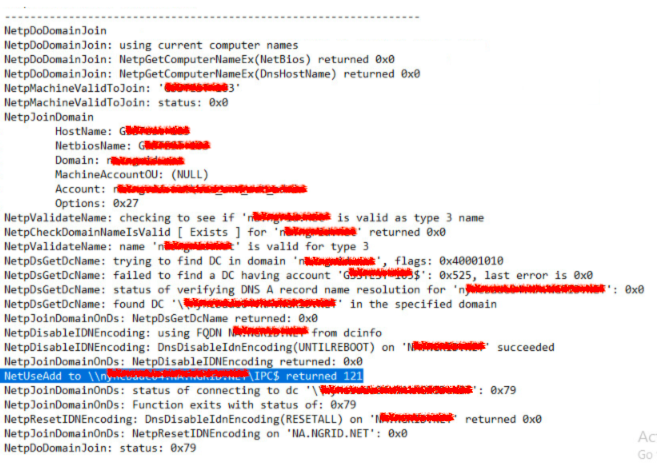 I looked at the netsetuplog and found client was not able to connect to the DC IPC$. You would’ve now figured out that, to communicate with 2003 OS’es we need SMBv1. 2012 or 2016 doesn’t have SMBv1 enabled by default, you have to enable it in Server Manager features. Once i had SMBv1 enabled, i was able to join all systems without any issues.